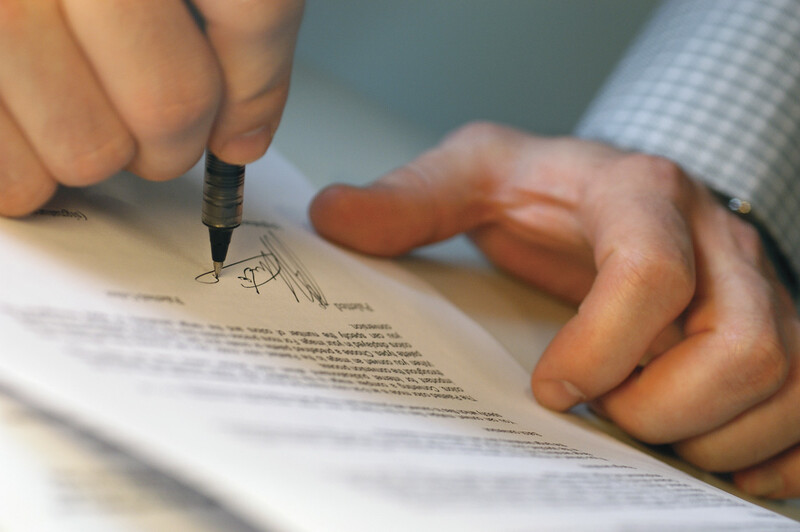 A vehicle bill of sale is a legal document given by the seller to the buyer. It reports that on a specific date, at a specific locality and for a particular sum of money the seller sold to the purchaser a specific vehicle of which he had lawful possession. It is a written instrument proving that the transaction was successful and that both parties were able to understand each other clearly. Any warranty that may have been agreed upon. The state in which the vehicle was sold. The buyer should apply for a new title in his name, take the Certificate of Ownership (Title) and this Bill of Sale to the local vehicle licensing office and pay the required fees and taxes. The seller should submit a completed Report of Sale which releases his liability from the vehicle. He can report the sale by filling out the Report of Sale section at the back of the title. He can also go in person at any vehicle licensing office or process it online. The process may vary depending on the location. Please contact your DMV to make sure that you have the correct instructions. Odometers are often rolled back so the seller can make more money. Cars with low mileage are priced higher. Omit 35000-40000 miles and it will artificially inflate the value to about $2500 to $3000. Digital odometers were supposed to make it hard for criminals to tamper with them, but they still managed to find a way to hack them. 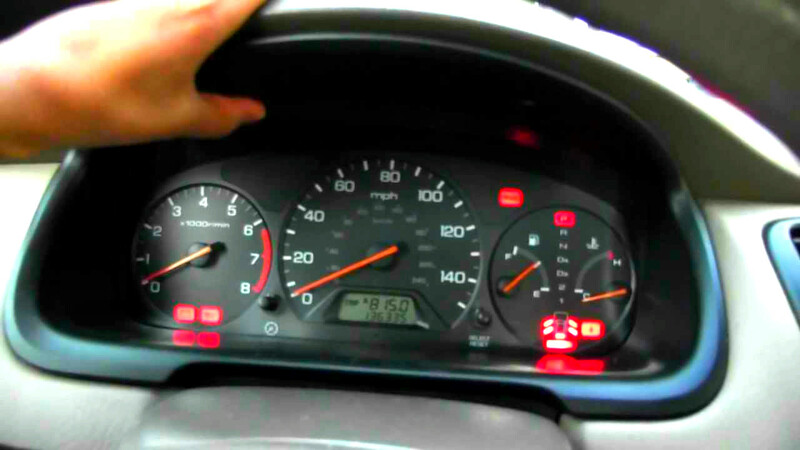 Most vehicles store their digital odometer reading on the instrument cluster on a re-writable EEPROM chip. Once the chip is located, they will have it desoldered from the board and get it connected to a computer’s serial port where its data can be downloaded and manipulated. Ponyprog is a popular program known to edit the data from an EEPROM chip. The data on the chip is coded with inverted hex values. The odometer data are then edited and rewritten to the chip, which is then re-soldered to the odometer board and put back into the car. On older cars that sports analogue counters, the odometer is manually rolled by hand. Tampering the odometer not only raises the value of the vehicle, it also deceives buyers that the vehicle is in better condition. Here, we wrote down a few tips that will help consumer’s determine if the odometer has been tampered. Make sure that you keep these things in mind when you buy a used car. Make sure that the numbers on the odometer gauge are aligned correctly. They shouldn’t be crooked, there should be no gaps. Check if it jiggles when you bang on the dash with your hand. If the vehicle has an analog odometer, as opposed to newer digital readouts, check that the numbers are lined up straight. Look for some man made marks inside the instrument cluster. Look for fingerprints or smudge marks. If you find some, it is a sure sign that someone has been in the cluster. Look for loose parts and switches that do not belong. There have already been reported cases of vehicles being rigged with switches that turns the odometer off and on. Make sure that the wear and tear match the declared mileage. Look out for signs such as worn seats, scratches on the keyhole, the steering wheel and other vehicle parts. These are indicators that the vehicle has been used a lot. If it looks too worn for the declare mileage that means that it has been rolled back. Check the vehicle’s tires. If it shows 20000 mi or less it should have the original tires. If you are checking a car with a digital odometer, it will be difficult to see physical signs of tampering. You can only know by dismantling the instrument cluster to see if the odometer has been desoldered. 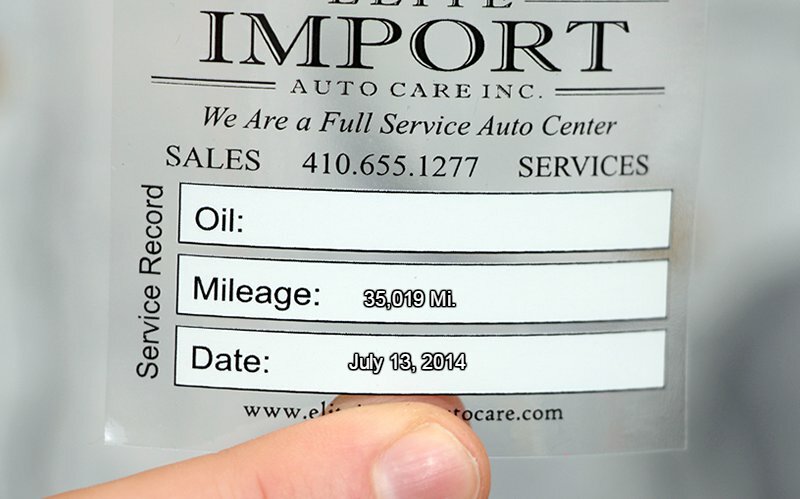 You can look for service stickers inside the door or under the hood that may give the actual mileage. The vehicle’s last known mileage prior to the repair or replacement. The mileage added to the vehicle while the odometer was inoperable, if any. You should also look at the owner’s manual for maintenance records. Make sure that there are no missing pages. It is also smart to contact the service center to validate the service manager ‘s signature. Get a vehicle history report to compare the recorded mileage and the displayed mileage. Check the mileage on the car’s title records and the odometer, it will help point out any discrepancies. If you have information on any operation or incident where this criminal act is being committed or of people involved in this crime, please contact your local Highway Patrol. Reporting it properly will alert our law enforcers. They will pay more attention to this problem and formulate more ways to protect consumers from this fraudulent activity. Help inform your community by sharing this article on social media. Odometer fraud can be avoided, let’s work together to make the used car market safer. When a vehicle has a salvaged title or has been in an accident, the airbag may have already been deployed. Even if it remained undeployed, the airbag system may still have been damaged by the crash. Air bags are very expensive to replace. It will cost thousands of dollars to install a working replacement, so some dealers and body shops are cutting corners and putting consumers in danger. There have been many reports of dealers selling used cars without a working airbag.In some cases, consumers reported buying a used car with rags stuffed inside the airbag compartment. To help consumers avoid this problem we have listed a few tips that will help spot phony airbags when buying a used car. The airbag light will be on and will be flashing along with the other indicators. It will say Airbag or SRS. If the airbag light turns on and shuts off after a few seconds that means all is good as to factory OEM specifications. If you don’t see the airbag light after turning the key and there are other lights like battery, seatbelt and the others, that means there is something wrong with it. Look for little tears. Make sure that the edges and the surrounding surface are well tucked. Take all the time you need to inspect the area visually. Check if there’s anything odd about the airbag cover, make sure that it is an exact fit. If it fits poorly that means it will not react in the exact time frame that the manufacturer originally intended. It may cause serious injuries or death when the airbag does not inflate on time to prevent you from hitting the interior of the vehicle in an accident. The seat belts should retract smoothly.If they’re slow or don’t retract at all, that’s a warning that the air bags have been deployed already and were not replaced. Seat belts have pretensioners as a part of their mechanism. These are wired to the same central control processor that activates the car’s air bags. The processor monitors mechanical or electronic motion sensors that respond to sudden impact. When an impact is detected, the processor activates the pretensioner and the air bag. The pretensioner pulls in on the belt tightening up any slack in the belt webbing in the event of a crash. This force helps move the passenger into the safest crash position in his seat. So, if the seatbelt does not work properly that means the central control processor for both the pretensioner and airbag was not fixed or replaced after the accident. Check the Better Business Bureau and the internet for reports of consumer complaints. Check the dealership’s reputation. A scam this lucrative won’t have occurred just once. Do your homework and check the company’s complaint history with your local consumer protection agency. Read their feedback and avoid dealerships with a history of air bag fraud. Buy only from trusted dealerships. Take the car to a certified mechanic whom you know and trust. This is the best way to find out if the airbag is safe. Installing air bags properly, requires recalibrating the system. They will have to fix the sensors, control modules and new seat belts. There’s no way to know whether this has been done correctly just by looking at the car. However a certified mechanic knows how to check and has the right tools to test if it is working or not. Airbags can help you survive a collision. It will save your life and protect you from injuries. It is important that you are sure that this safety feature will work when needed. Utilize the tips that you have learned here to detect phony airbags. It will help you avoid the risk of being a victim of airbag fraud. Selling used cars with a phony air bag is illegal and punishable by law. If you know of a dealership who’s involved in this or if you have already bought a car with a phony air bag, report it to the authorities. Do not let it go and help save lives.